As your children get older the good news is that they will often grow out of the conditions which were so troublesome in their early years. In particular, the congestive disorders – such as glue ear – will often fade by the age of eight as growth of the skull will turn the eustacian tubes more vertical and natural drainage will improve. 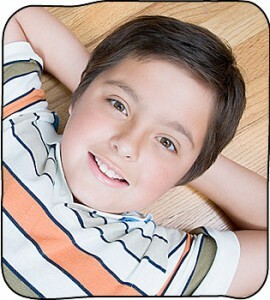 Sudden growth spurts around age 8 and again at puberty can upset their physical as well as their emotional wellbeing. They suddenly have really long legs and growing pains. Their teeth, spine and pelvis get out of balance. You get referred to the orthodontist but what about the spinal issues that you’re told are nothing. Then they start playing contact sports from rugby, football, la cross, hockey, riding to tennis Their favourite toys become horses, skateboards, jump bikes, computers, TV and various electronic gadgets. Conversation is replaced by texting and the social media. And guess what….they develop a posture to match. We can advise on and treat a whole range of postural, musculoskeletal problems and sports injuries in children. As cranial chiropractors we also work along side orthodontists in supporting any postural changes in the cranium, spine and pelvis that may occur while in braces, so that the whole experience for your child is more holistic. There are lots of articles and research on this and many other chiropractic topics and recommend this link to read (click here). We can help to smooth out those skeletal imbalances which develop. We can give stretches and exercises which are fun to do and help prevent injury in the future. Most of all we understand that teenagers are the age group least likely to ask for help but are probably the ones most in need of it. A Day In The Life of a Spine!